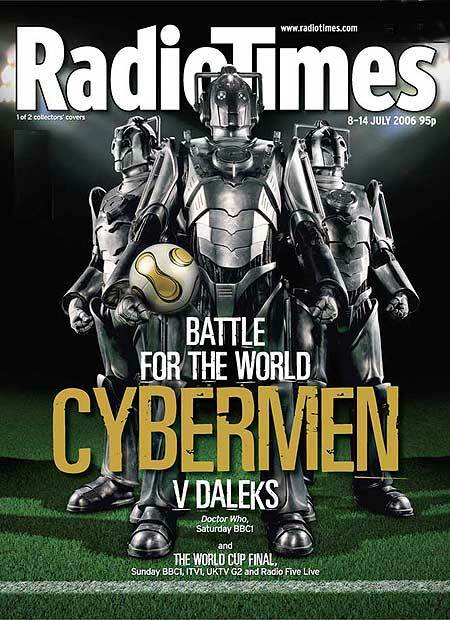 Last time the World Cup was on – in 2006 – the Radio Times had a choice of covers (Cybermen or Daleks) managing to link football with the first on-screen battle between Cybermen and Daleks. 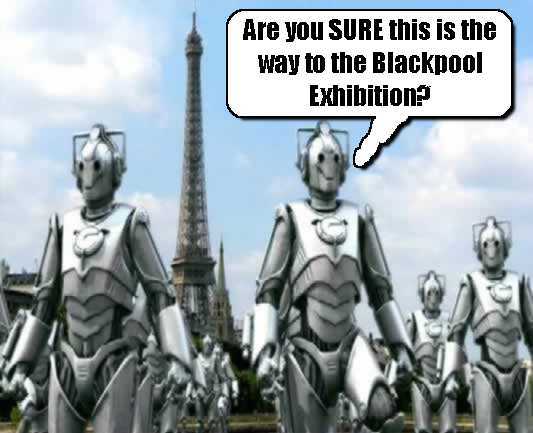 In 2010 the World Cup is on again and both Cybermen and Daleks are appearing in the season finale (again). Here’s the 2006 Cyberman cover.